That didn't take long. Just over one year since Fox aired the final episode of American Idol, ABC has struck a new deal to revive the series as part of its prime time lineup in the 2017-2018 season. Rumors had been swirling for weeks that ABC and Fox were involved in a bidding war to bring the once-dominant singing competition back to the air. A statement released by the network promises a "bigger, bolder and better-than-ever Idol," adding "ABC is the right home to reignite the fan base. We are thrilled viewers will once again share in these inspiring stories of people realizing their dreams." A host and judging panel have yet to be announced for Idol's revival, though there has been talk that Seacrest could make a return to the show that helped make him a household name. FOX will be cutting American Idol airtime to one night a week, according to Ryan Seacrest. The change will occur once the season reaches the final stretch of season 14. For more details read the ShareTV news article here. Randy Jackson is leaving American Idol after 13 seasons. Jackson said he would not be returning for season 13, but he decided to stay on as a mentor. Now he will not be returning to the show at all for season 14. Read the full details here! 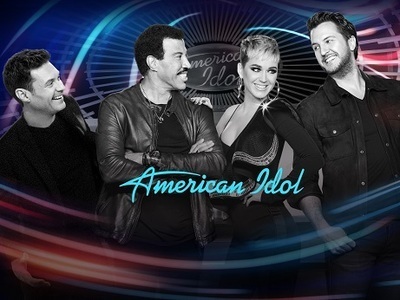 FOX have decided to grant American Idol with a fourteenth season. The network announced the exciting news via Ryan Seacrest during Wednesday night's show by having the host release a string of audition locations for Season 14. Despite suffering from a bit of a ratings slide over the past few seasons, viewers are still finding singing/reality competition popular.